We are providing a summary of Saito and introducing its incubation facilities. We are introducing about the various integration of functions implemented in KENTO based on “health and medical” concepts. We are introducing about the International Hub for Medical Innovation, which are currently being considered for development. We are working on supporting life science related SME and venture companies. We aim to create the International Hub for Medical Innovation that promotes the industrialization of the latest “future medical technologies” in response to the progress of medical technologies in the future based on regenerative medicine, including the use of genomic medicine, artificial intelligence (AI) and IoT, and global contributions by providing “future medical technologies” to patients domestically and abroad. 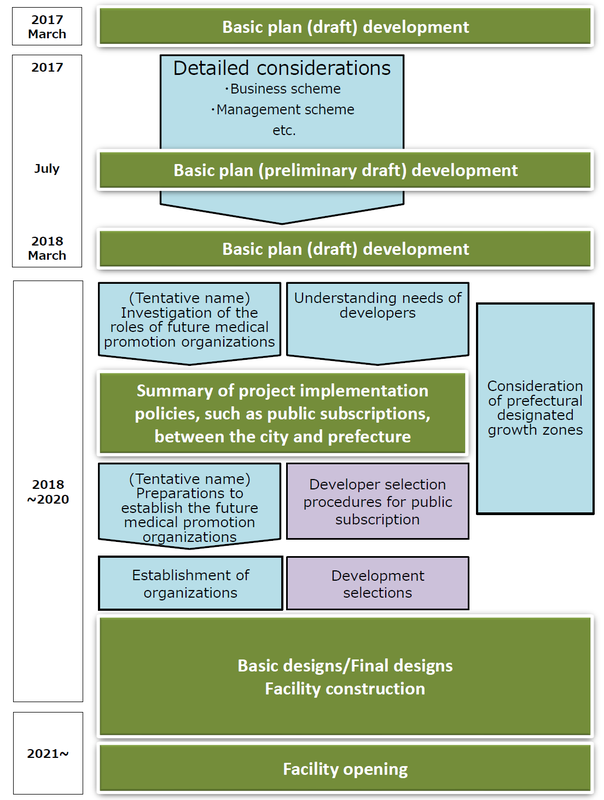 The basic plan of the International Hub for Medical Innovation (tentative) was established and announced in March 2018 at the “Nakanoshima 4-Chome Regenerative Medicine International Base Investigation Council by the Osaka Prefecture, Osaka City and economic organizations. We are continuing to consider the plan as we aim to complete construction of the facilities after 2021. © 2016 ·Copyright (C) 2008 Osaka Bio Headquarters. All Rights Reserved.